Encounter With Things is a sound installation from the project series, Strata of Memory. 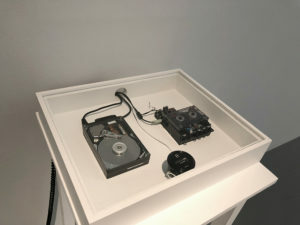 In this installation, the affective quality of the defected signals intends to create an illusion of lost information in the process of communication with the audience. 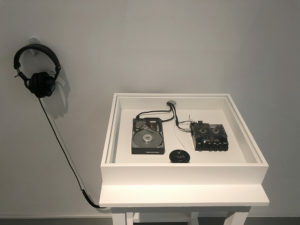 The artist’s recorded voice states: “I hope that what I’ve said hasn’t hurt you too much.” This statement is repeated in a loop and played in both digital and analog qualities through a headphone. 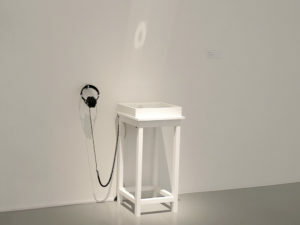 The audience experiences a physical signal decay in the analog audio during the course of the exhibition’s period while listening to the looping sound playing simultaneously in both digital and analog formats.